Empress Canyon is our premium entry level canyon tour and the finest way to experience it is with a small personalised group! Step away from the crowd! 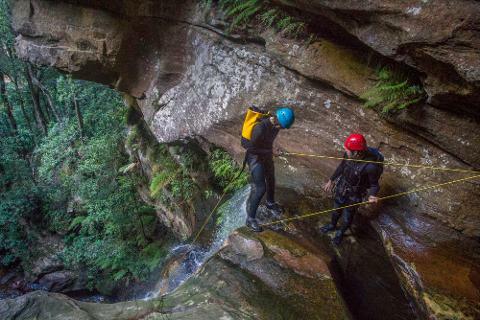 Just imagine one highly trained canyoning guide and four canyoners embarking on a classic Blue Mountains adventure, simply awesome! 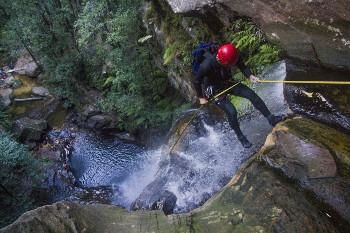 This canyoning experience is a great introduction to this stunning outdoor activity! 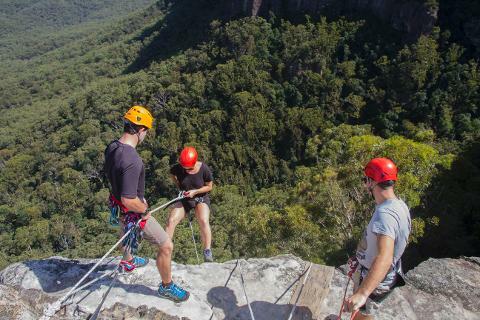 We open the day with an abseiling skills adventure- several short practice abseils and then we move up to some higher challenges- you’ll find our abseil training session to be an exciting adventure in its own right! After lunch we'll commence our tour through the breathtaking Empress Canyon. The journey takes us deep inside the sandstone escarpment, wading, scrambling and jumping into pools! 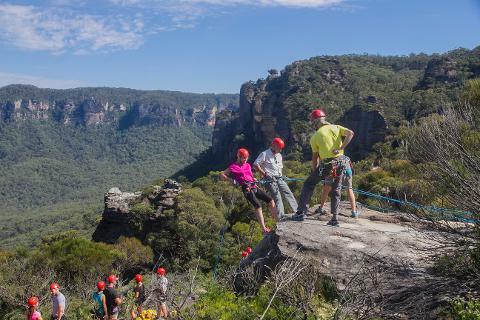 When we discover daylight we’ll again use our rope skills to perform a spectacular 30 meter waterfall abseil to make our exit. To complete our journey we’ll undertake a short scenic trek back to our pick-up point! Book with a friend or group and save! $169 each for a group of 4! Looking to book on a weekend? 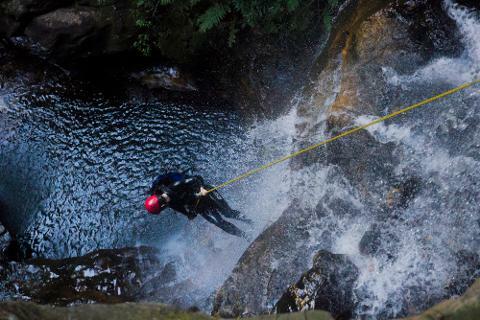 Please see our Abseiling & Canyoning Experience!